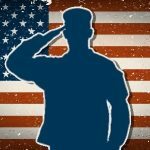 Medicare and Medicaid and the Difference Between Them - Lantz Law, Inc. There is often confusion about the difference between Medicare and Medicaid. Our clients sometimes get confused when we are discussing Medicaid coverage for nursing home care. When explaining the application process for Medicaid benefits, they will often interject that they “already have Medicare”. Medicare and Medicaid are two different programs established for different purposes. Let’s look at some of the main differences. Medicare can be thought of more like health insurance. Most people will become eligible for Medicare benefits when they turn 65, although some younger than 65 may qualify if they meet certain criteria. Medicare may cover things such as hospital stays, doctor visits, dental services, nursing services, and prescription medications, in addition to many other services. Medicare eligibility is not affected by financial status. In other words, there are no asset limits applicable for Medicare coverage. Medicare is broken up into different “parts”. Medicare Part A is the basic Medicare coverage and can cover hospitalization stays and limited-time stays in skilled nursing facilities (i.e., up to 100 days for rehabilitation). Medicare Part B covers medical services, such as doctor’s office visits, lab work, mental health services, and necessary medical equipment. Part B requires payment of a monthly premium and deductibles for services. Medicare Part C, or Medicare Advantage, is an insurance plan offered by a private company instead of the government. Finally, Medicare Part D provides prescription drug coverage. 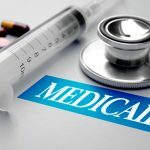 Medicaid is a federal and state-funded program that has certain eligibility requirements and is meant to assist low-income individuals with health care coverage. 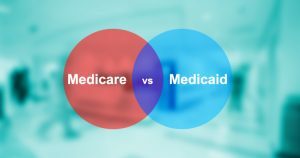 Each state has its own unique Medicaid regulations, so there are essentially fifty different Medicaid programs. Most relevant to our practice at Lantz Law is Medicaid coverage for long-term nursing home care. As we all know, nursing home care is incredibly expensive and getting more so by the day. In the south coast Massachusetts area, nursing home care can cost three to four hundred dollars a day. Needless to say, most people can’t afford a long-term stay in a nursing home. After money is spent to a certain asset limit, an application will have to be submitted to Medicaid for coverage of the nursing home cost. A single person in a nursing home can have only $2000 in their name before applying for Medicaid; a married couple can have $128,000 between them in order to be eligible for Medicaid. 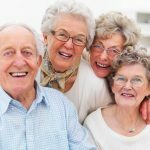 All other assets, including retirement accounts, cash value in life insurance, and money in the bank, must be spent on nursing home care in order to be eligible for Medicaid. Understandably, people are concerned about losing their life savings, or their home, in the event a nursing home stay is needed. There are ways to protect assets, such as establishing a certain kind of trust and placing assets in the trust. 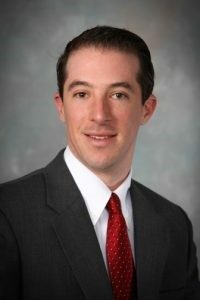 As mentioned above, however, each state’s Medicaid rules are unique to that state, so Medicaid planning is a very fact-specific and state-specific undertaking. Additionally, each family’s situation is unique, which may present different planning opportunities. In sum, Medicare and Medicaid are both expansive government programs with aspects to assist Americans in a myriad of different ways. Please feel free to contact Lantz Law if you’d like more information or would like to schedule a consultation. 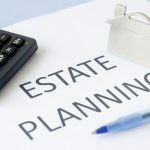 Top 10 Reasons Why Your Estate Plan Needs Your Attention Now!